A dark figure that spreads its wings against a starry backdrop: the fog of the "Cosmic Bat" was captured by the European Southern Observatory (ESO) in a very detailed way. 1788 is two thousand light-years away in a dark corner of the Orion constellation. 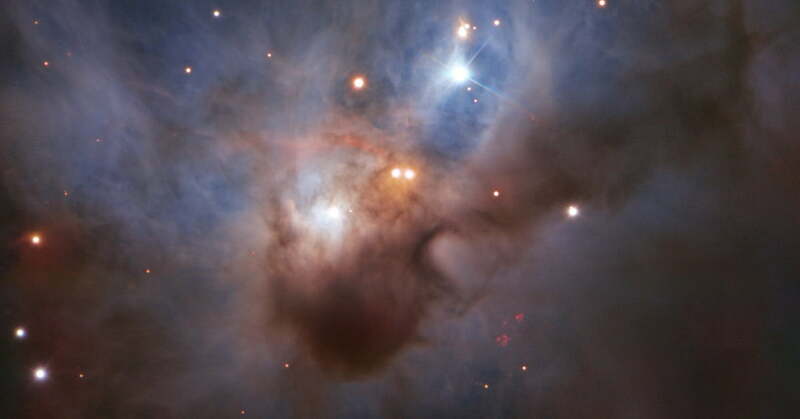 The mist does not emit its own light because it is called a "reflection nebula". This means that it is a cloud of dust and gas that it illuminates only by the light of neighboring stars. In the case of the bat, the lighting comes from a cluster of young stars in its core. Around this faint mist To capture a strong telescope was required. ESO deployed its Very Large Telescope (VLT), part of the Paranal Observatory in the Atacama Desert of Chile, located at an altitude of 2,635 meters above sea level. The site has a very low level of light pollution, as the nearest community to the observatory is the small hamlet of Paposo with 259 inhabitants, which is 38 kilometers away. This means that the VLT can capture very poorly or very distant phenomena with mirrors of 8.2 meters in diameter and minimal blurring through the Earth's atmosphere. This particular image of the Cosmic Bat is the most detailed image of the nebula since it was first photographed by the astronomer William Herschel in 1888. It was selected as the target for imaging the 20th anniversary of one of ESO's instruments, the FOcal Reducer and the Spectrograph 2 with low dispersion (FORS2). The FORS2 instrument attached to one of the VLT telescopes is a versatile tool that can simultaneously acquire spectra from one or more objects. As a spectrograph, it can scatter light into a rainbow of different wavelengths so that astronomers can study the chemical composition of distant objects. And it can also reproduce large areas of the sky with high sensitivity and produce beautiful pictures like this of the Cosmic Bat.